Raise your hand if this scene seems painfully familiar. You have no idea how many times this has happened to me (read: almost every time I pack a bento). 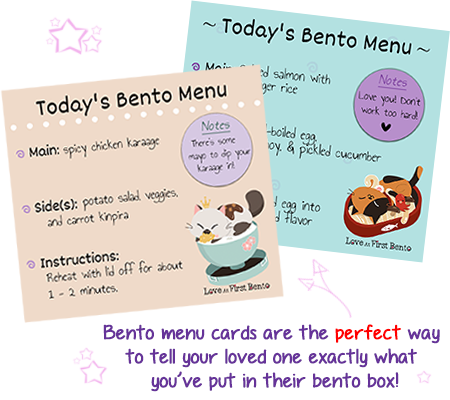 Nothing’s worse than when you’ve worked super hard to prepare the perfect bento, and then, right when you’re done packing it up, you realize you don’t have quite enough food to fill that god awful space gaping up at you. 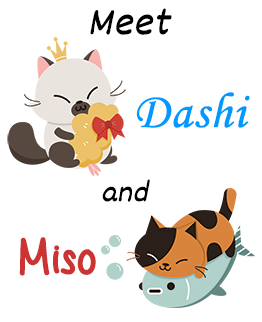 Thankfully, there is a solution to this dilemma, and it only takes minutes to complete. 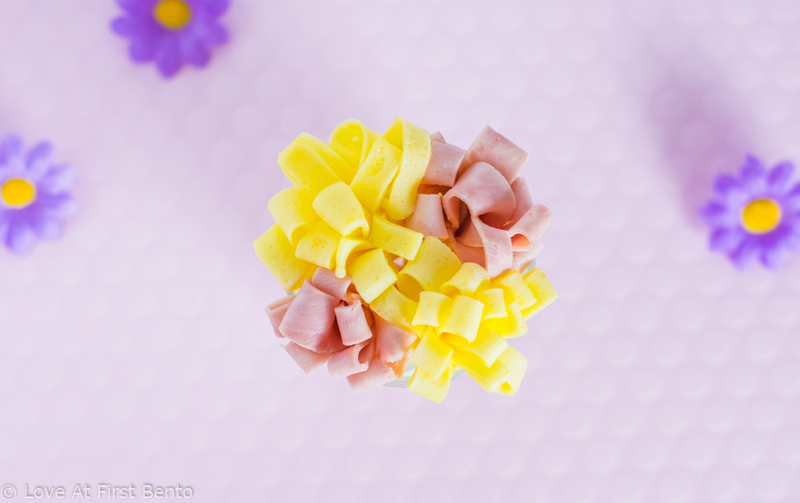 Allow me to introduce you to ham & egg flowers, the newest saviors to your frenzied, panic-infused mornings. 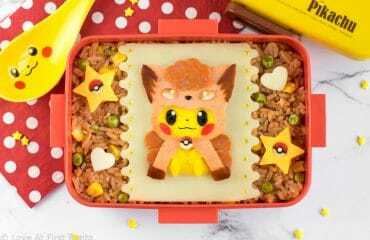 Not only are they super easy and quick to prepare, but they instantly brighten up any bento box, no matter if it’s a traditional, cute, or character bento. And, as an added bonus, most of us always have ham and eggs lying around in the fridge. 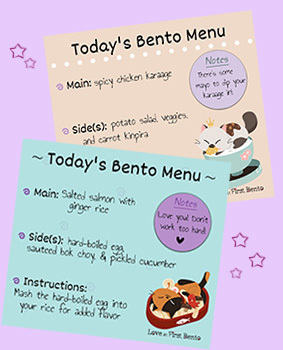 They’re the perfect size for filling in pesky bento box gaps, making them an all-star addition to your bento recipe repertoire. Ham flowers in particular are extremely easy to prepare; it’ll literally take you under 1 minute to whip one up. I say this after having completed one in 30 seconds myself. This is no small feat, you guys. I normally have to multiply cook times by 5, I’m so slow at preparing things. So if I, the ultimate kitchen snail, can complete one in under 1 minute, you most definitely can too. The egg flowers are a tad more time consuming, since you have to make an egg crepe, but I was still able to churn one out in less than 5 minutes, which included waiting for my pan to heat up and getting out all the ingredients. Plus, it is possible to make a bunch of egg crepes in advance and freeze them, leaving you fully armed and ready for any future chaotic bento box packing mornings. These egg crepes are called usuyaki tamago (thinly cooked egg) in Japanese, and my go-to recipe for them can be found here. 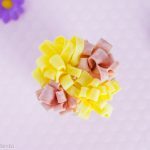 Ham & egg flowers can also be dressed up with things like peas and corn inserted into the petals, little dollops of ketchup jewels, and even cute food picks sticking out (such as a bumblebee or butterfly). 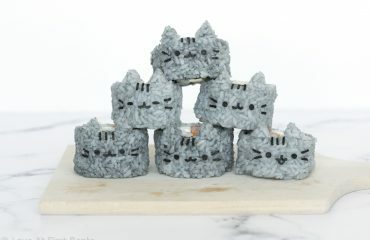 The options for decorating them are endless, so have some fun with it! 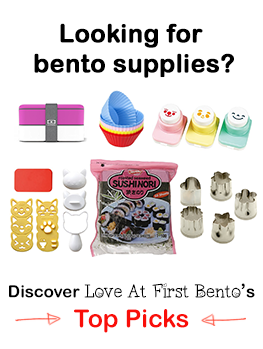 Don’t wait to try making these quick, easy, and beautiful bento box accents! They produce impressive results with very minimal effort, and are the perfect accompaniment to all types of food. 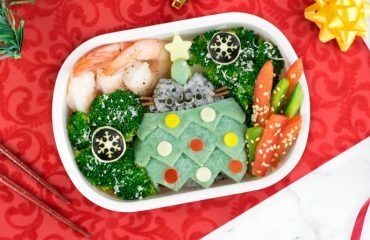 See how ham flowers were used in this Mini Baby Seal Fish Burger bento box. Working your way across the middle of your ham/egg crepe, make vertical incisions with your knife. Each incision should be approximately an 1/8 inch apart, as well as the same size. Make sure to leave an uncut border all around the outside edges of your ham/egg crepe. Grab the edge of the ham/egg crepe that’s closest to you and fold it over onto the opposite edge (AKA fold it in half). Starting from either the left or right side, begin rolling the folded ham/egg crepe away from you until completely rolled up. I like to hold onto the uncut base while doing this, to make sure I don’t squish the petals. Secure your flower with a toothpick inserted into the base. 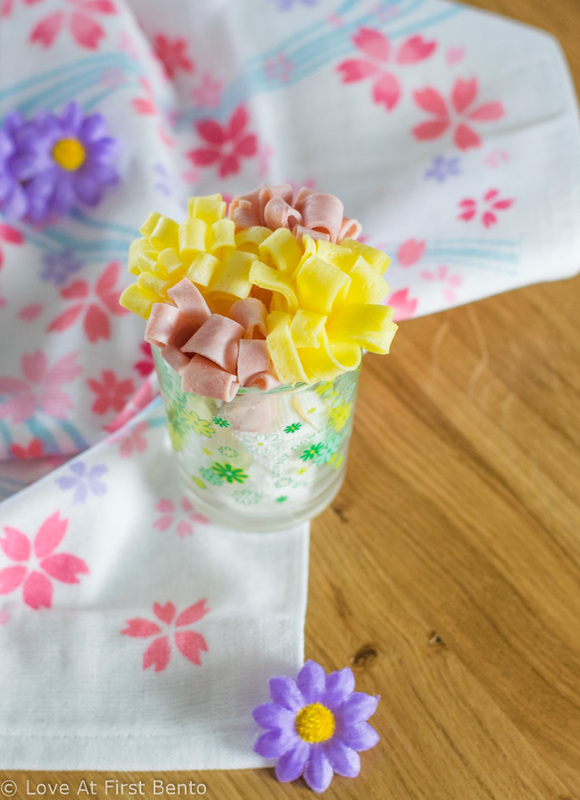 You can use either a circular, rectangular, or square slice of ham or egg crepe to make the flowers. I don’t recommend going much bigger than a 5 inch x 5 inch square piece, as then the flower petals will start to droop too much. I used a 3.5 inch x 5 inch egg crepe and a square piece of ham in the video tutorial. For best results, I recommend going with a smaller square shape. * Feel free to use any kind of ham you’d like (eg: turkey ham, chicken ham). Thinly sliced turkey and chicken breast would also work nicely as a ham substitute. 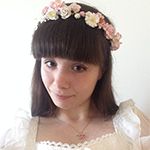 The shorter in length you make your vertical incisions, the smaller and more compact your flower petals will be. Make longer vertical incisions for larger flowers that fan out more and take up more space. OMG! I would love to try it!